Visiting Disneyland is on the “must do” list for many households. It can be an entertaining and memorable experience for children and adults of all ages. When it comes to budgeting for Disneyland, follow these pointers to let both you and your wallet smile before and after your trip to “The Happiest Place on Earth”. 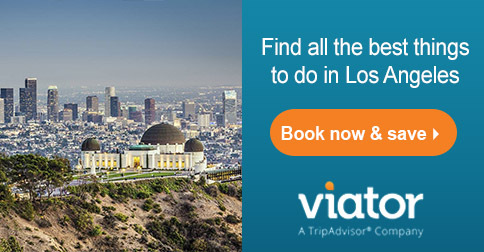 Once you’re in California, your two largest expenses will be lodging and tickets. There are ways to save on those, and you can also save money once you get into the park itself. Here are some things to keep in mind when budgeting for Disneyland. If possible, try to visit Disneyland in the fall or spring months. It will be harder to find deals in the summer and Christmas holiday season when school is out. Plus, if you visit during off-peak times the crowd sizes will be smaller in comparison, which is really nice. You’ll want to book your travel as early as possible. This will allow you to secure lodging at the lowest price as the cheapest options often get reserved first. Booking an all-in-one package can be convenient, provide additional amenities, and save time during the planning process. The price difference between all three options can vary greatly. Seasonal vacation packages are usually cheaper than everyday packages. If you buy a seasonal package, make sure you know the latest you can attend Disneyland as you can often buy these packages up to one day before the package must be redeemed. Staying off-site can be your most affordable option. You can likely stay at a Good Neighbor hotel within walking distance for approximately $59 per night (plus taxes). Our last AirBnB stay in Anaheim cost us $184 a night (including all taxes & fees) but we got an entire 2-bedroom HOUSE for that price. That can be a big savings if you have a larger family and make meals at home, because you won’t have to rent multiple hotel rooms or eat out as much. If you’re booking a hotel, you can book your room directly from the hotel’s website or a booking portal. If you’re staying offsite, check to see if they have a shuttle to the park so you don’t have to walk or pay to park. If you’re a member of the U.S. military, you can usually get discounted Disneyland tickets by taking advantage of their military discount. Other offers: Disneyland also typically has a variety of offers available on their offers & discounts page. If none of those options apply or appeal to you, the next cheapest way will be buying the single park per day ticket on a non-peak day. (Disneyland does have seasonal pricing, so ticket prices vary a little depending on demand and when you go.) You will also get a lower rate if you buy a multi-day ticket. If you plan to visit a Disneyland park for five days, it’s better to purchase a single five-day ticket compared to five separate one-day tickets that cost. Park Hopper tickets are more expensive, but they do let you visit both of the Disneyland and California Adventure parks on the same day, which can be fun especially if it’s your first visit and you want to check everything out. If you’re going to be in Southern California for a while, you may also want to look into the Southern California CityPASS. That can give you access to Legoland and SeaWorld plus three days to both Disneyland parks. Give your kids a budget for the day, and once it’s gone it’s gone. A quick note about snacks. Disneyland’s official policy doesn’t allow hard-sided coolers, large coolers, or glass containers inside the park. You usually can bring in snacks and pre-made sandwiches that can save you from buying at least one meal per day. When it comes to dining, you will pay less for visiting a cafeteria or counter-style restaurant instead of a sit-down restaurant. You might even be able to split a meal at some restaurants if portion sizes are large enough. Dining at table service (sit down) restaurants will be by far the most expensive option. You can purchase Character Dining experiences that can cost between $15 and $59.99 per adult. If you choose a character dining experience, your best option will typically be eating lunch or dinner with a character and eating breakfast in your hotel room. It’s best to reserve everything possible ahead of time, as things may sell out. If you’ve driven to the park or can shuttle back to your hotel, leave a large cooler packed with lunch & dinner in your car for meals. Or take advantage of the parking lot re-entry ability and run out to a fast food place for lunch. Disneyland also provides a limited number of lockers outside the park that can store coolers that are a maximum of 18″ wide x 25″ high x 37″ deep, so that’s an option as well. There are picnic areas nearby to eat at. If you’re traveling with an infant or toddler, Disneyland’s Baby Care Centers offer a kitchen with microwave and sink, so you can take advantage of those as well. If you want to buy souvenirs within the park, having a souvenir budget is key. It’s a good idea to have a fixed amount budgeted for those that includes snacks with souvenir containers. That way kids can decide what they’d like most and feel in control, while YOU can avoid pleas for multiple pricey purchases. While some costs are non-negotiable when visiting Disneyland, the easiest way to save money is by choosing a cheaper lodging option and limiting your in-park spending. By booking early, you can snap up good deals and travel for less. 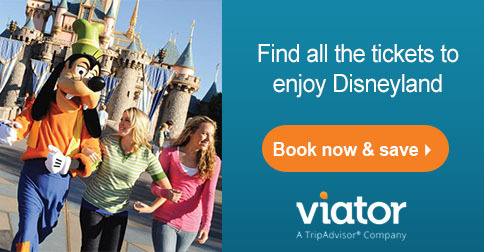 Take the time to compare your options as Disneyland vacations can vary widely in price. Remember, even budgeting for Disneyland can be fun! If you go, have a great trip!